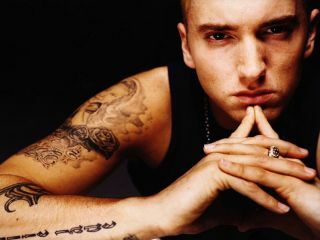 New Eminem album to be released before Christmas? Eminem: possibly not full of festive cheer. It might traditionally be the time of peace on Earth and goodwill to all men, but if rumours are to be believed, Eminem could be set to give this Christmas a rather angrier edge by releasing his long-awaited new album on December 23. Reports suggest that Amazon had started listing the new record, to be called Relapse, with a confirmed release date. However, the album page now states that 'A release date has not yet been set for this title'. This could mean one of two things: either Amazon got it wrong and has corrected its error; or it wasn't supposed to confirm the release date and has been told to take it down. Despite the date's removal, though, the fact that it was there at all means that speculation that we will see a new Eminem album before the end of 2008 is sure to ramp up. Just don't play it to Granny on Christmas day until she's had at least a couple of sherries.